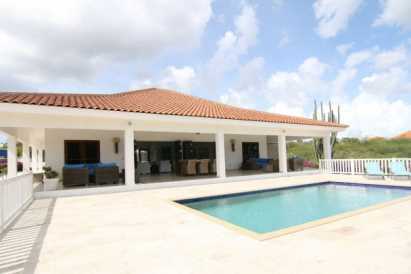 For sale: house in Caribbean - gated community with 18-holes golf course, private beach and diving!. This beautiful modern style villa with 4 bedrooms and separate guest quarters with 2 bedrooms, is located adjacent to the golf course at Blue Bay Golf & Beach Resort Curacao. 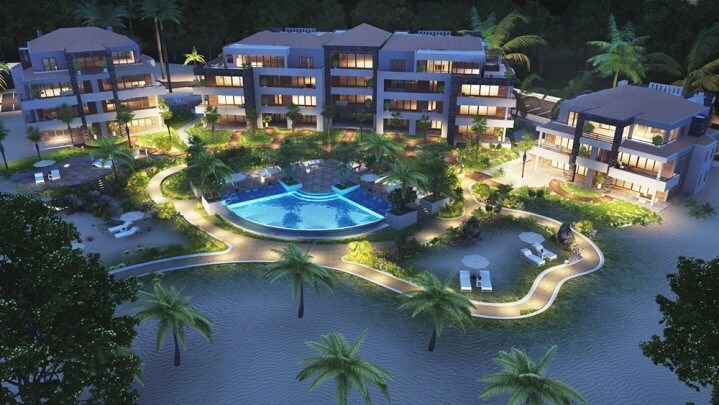 While relaxing on the wide covered terrace you will have the most gorgeous view over the golf course and the Caribbean Sea. 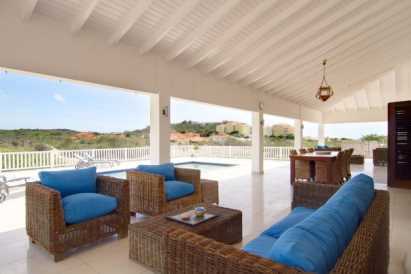 The beautiful large private swimming pool is surrounded by a large terrace with sun beds. 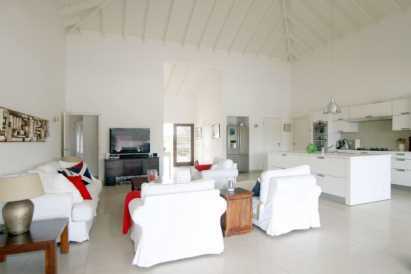 This villa was finished in 2009 and is built using only the best quality materials. You will immediately notice eye for detail and style with which the house has been decorated. 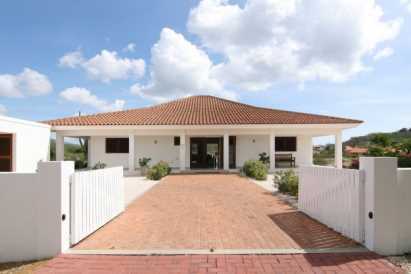 The house is in a modern style with straight lines and open floor plan. Indoor and outdoor living seamlessly passes into one another. 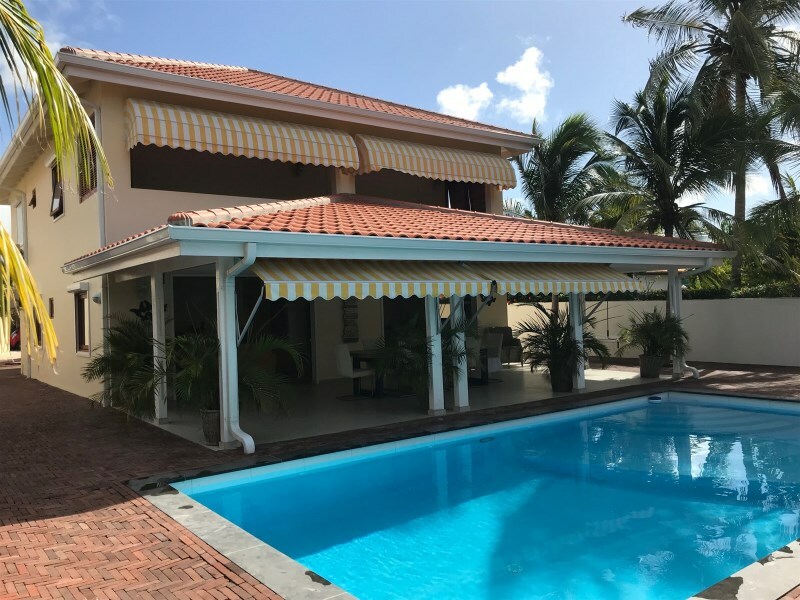 In the bright living room beautiful large French doors, covering the full length of the room, lead to the spacious covered porch with private pool. 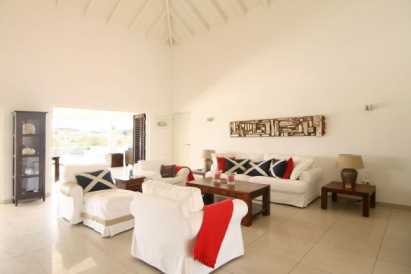 The high ceilings and open floor plan enhances the sense of space in the already very spacious living room. 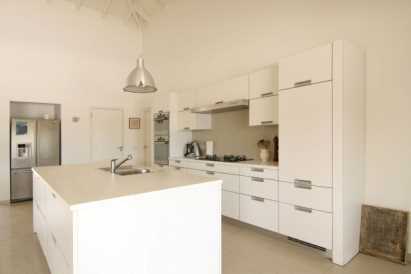 Top quality stainless steel built in appliances complete the beautiful modern style white kitchen. Adjacent to the living room is het master bedroom with en suite, built-in wardrobes and French doors leading towards the terras. 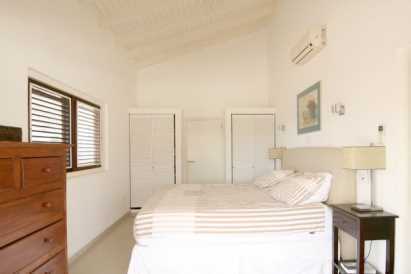 The second bedroom also has the use of a private bathroom and lovely wide built-in wardrobes. 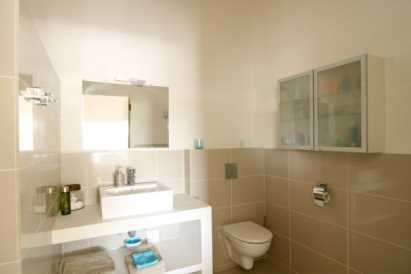 The third and fourth bedroom, of which the latter is currently in use as office share one bathroom. 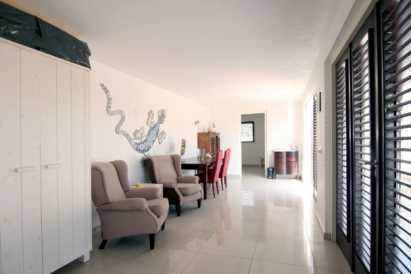 The lower floor hosts a spacious guest quarter which, due to the separate entrance, offers you full privacy. 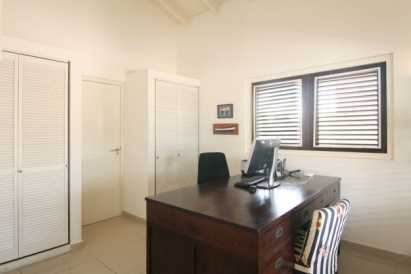 These guest quarters consist of two bedrooms, each with private bathroom and a living room. Inside the house, next to the main entrance you will find a small pantry where you will be able to place a washing machine and dryer. Located outside, next to the carport, is a large storage room. Solar panels, nicely covered and hardly visible from the ground, are placed on top of the carport. This will reduce your monthly electricity bill considerably. 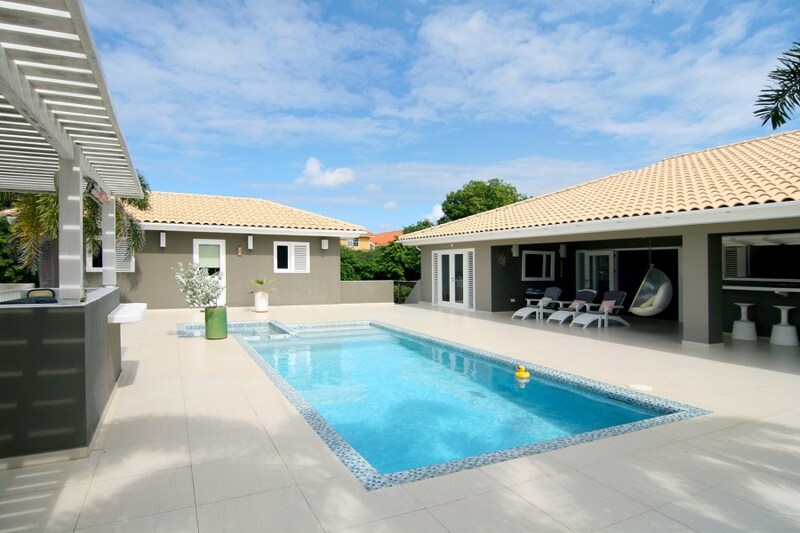 This beautiful symmetric villa is very representable and makes a perfect first or second home. The beautiful Blue Bay beach and several restaurants are just a stone’s throw away.